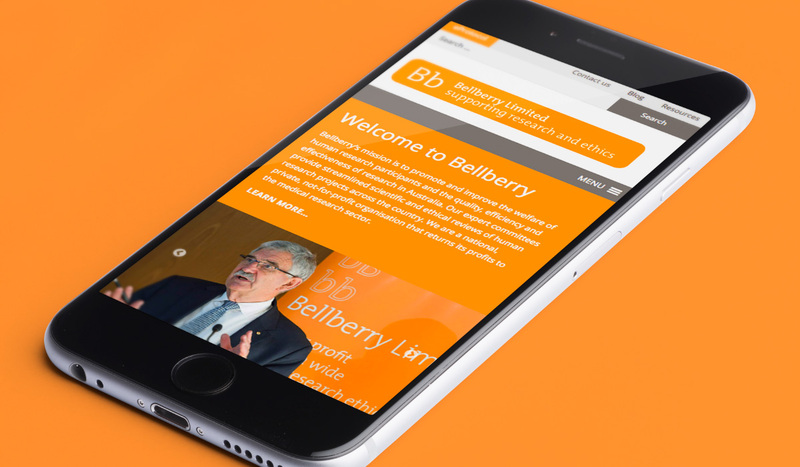 Following a successful competitive pitch, Algo Más were engaged to develop a new website for Bellberry Limited. 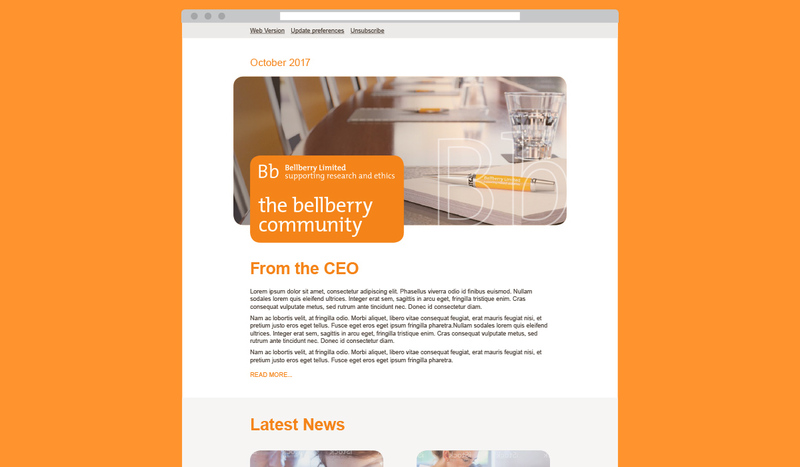 We began this process by running a workshop with the Bellberry team to analyse the required functionality and to develop the initial sitemap. From this workshop Algo Más delivered a report which helped to solidify the project brief for all parties. 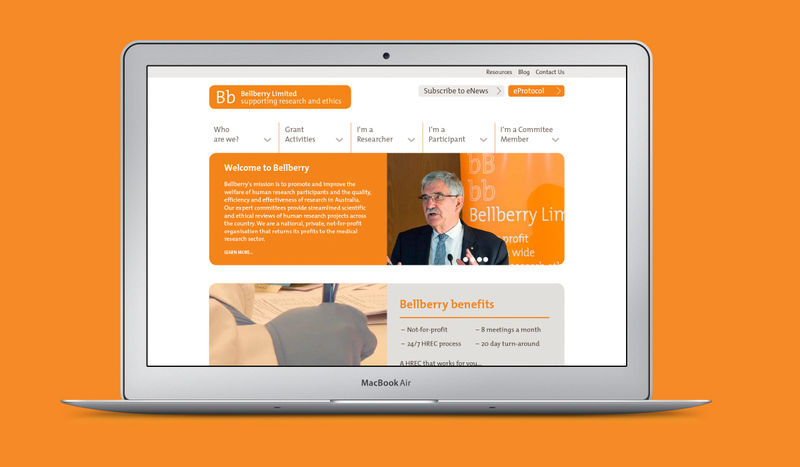 We worked with Bellberry Limited to take a content heavy website and presented it in an easy to navigate and logical structure. 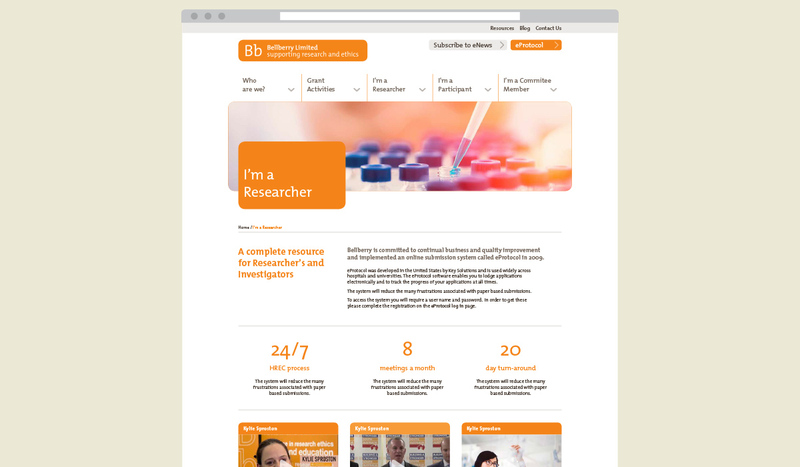 The website includes many custom templates, a private members portal, archives for news and members, dynamic FAQ functionality, tabbed content and mega menus.